Shop By Range There are 28 products. Re-usable foiled reward stickers packaged with an illustrated backing board. Great for motivating children to achieve their targets and keep a record of good behaviour! Re-usable name label stickers packaged with an illustrated backing board. Perfect for decorating and naming books, folders, lunchboxes, pencil cases, bikes, toys, and anything else you can think of! 6 sheets of paper stickers perfect for party bags and treats! 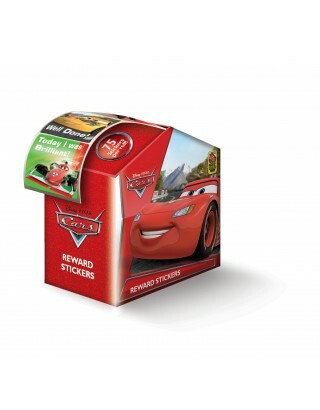 Re-usable foiled reward stickers packaged with a mini reward chart. Great for motivating children to achieve their targets and keep a record of good behaviour! MEGA pack of stickers includes A4 glossy sheet, foiled stickers and a bag of die-cut stickers. This Sticker Album is the perfect place to collect all your favourite stickers together! The glossy pages mean you can move your stickers around to reoganise your collections, and create different scenes and pictures. Why not personalise the cover too! Assortment packs contain a larger glossy sheet, a foiled sticker sheet and a bag of cut-out stickers. Dress up your favourite characters in different costumes again and again by layering these re-usable foam stickers!